Monochrome Maddness challenge each week and Leanne and Laura Publish the challenge on a Wednesday morning. and it is well worth checking out if you are in to Photography. if you wish to participate see Leanne’s Site above for all the info. 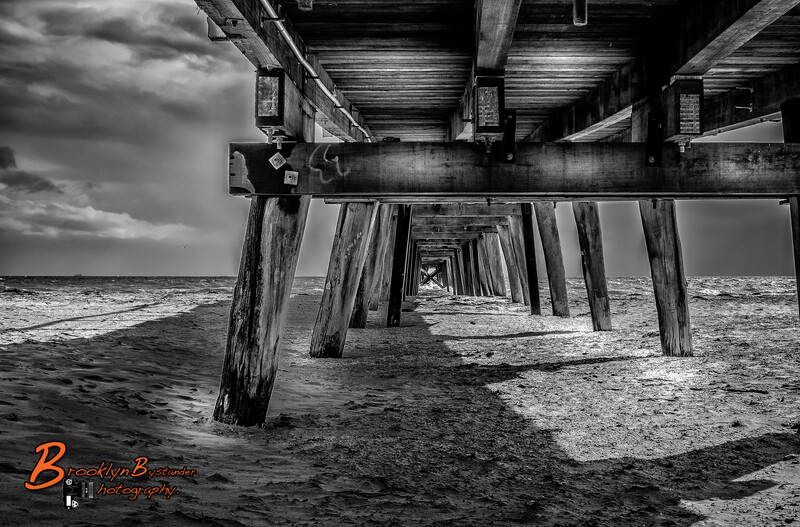 This entry was posted in Photography and tagged Adelaide, black & white, Jetty, Lightroom, Monochrome, Monochrome Madness, Photography, Port Adelaide, Silver FX Pro, South Australia. Bookmark the permalink. Thanks Mike. I will be back in full form. Robert I have seen you Photography and it more than hold up, you have nothing to worry about !! Mike, this is one unbelievable shot!!! What punch, power and composition. Congratulations and many kudos. I keep going back to your image, studying, enjoying and listening to the crash of the salt water against the barnacle encrusted pier. I realy do appreciate it. Great picture! brings to mind the jetties in New England where I grew up! Yes there is something about a jetty that can take you somewhere else always very alluring. Absolutely gorgeous, Mike. I truly hope that you put together a book someday. I will be the first on line!! If I ever do I promise the first copy to you. You are just so kind to me and I thank you for that. This is my one of my favorite photographer’s! !